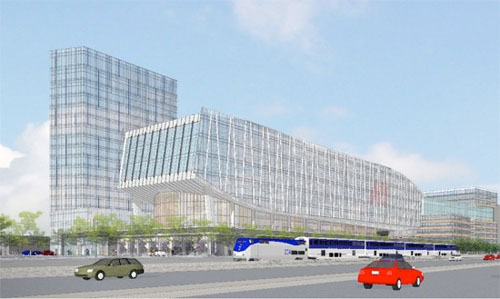 Boston newest commuter rail station groundbreaking occurred today. Metro West commuters can add another stop to the local train service starting in the fall of 2016. You can read the full article on Banker & Tradesman, here. 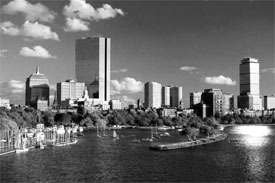 0	Is Boston an Architectural Eyesore? Office Building in Back Bay at 111 Huntington Ave.
No Boston isn’t ugly and as a matter of fact, it’s beautiful. Opinions are just that, opinions and each of us are allowed to express ours despite who it might offend. We must, however, remind everyone that the office market today is vastly different from decades past. Today’s tenant wants floor to ceiling light with as many corners on each floor. 111 Huntington Avenue is one most sought after address’s in Back Bay with its efficient floor plates combined with abundant amenities. The only space available is a sublease on the 5th floor, so from Boston Properties’ perspective, the building is fully leased. 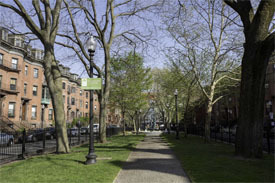 Boston will be 400 years old in 2030 and Mayor Walsh in starting to plan now for the event. Well, not cake, but working on a city wide master plan. The last time this was addressed was on this scale was 1965 that launched development like Faneuil Hall, Government Center and highway infrastructure. A nature walk has something for everybody and the concept of winter gardens should be embraced by all. The rentable square feet per employee is shrinking and collaboration space is growing. 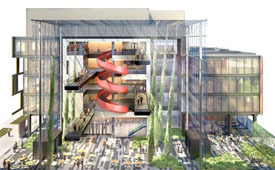 Alexandria Real Estate Equities has completed most of the work on its 6,000-square-foot winter garden at 75-125 Binney St., the future home of Ariad Pharmaceuticals Inc.
Belkin is one of eight developers chasing the development opportunity at the Winthrop Square parking garage site. His plan is after a 24/7 model that incorporates a live, work play them that embraces the “Café Culture” of today. At the centerpiece of Belkin’s 740-foot office and residential tower is an innovation center, one designed for entrepreneurs and those who aspire to be one. The description itself may be eye-glazing or eye-rolling at a time when everyone claims to be innovative, but to hear Belkin explain it, you feel like he’s onto something big. It’s an idea that could go a long way to break down the walls that divide our business community, ones that keep Kendall Square and Innovation District types from mingling with those in the Financial District. 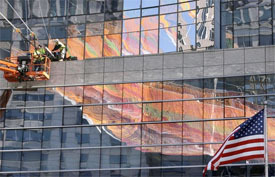 The work of Janet Echelman, a Brookline Artist, is now on display in the Rose Kennedy Greenway through October. You can read more on the sculpture, here. You can read more about the Causeway Street sale on the Boston Business Journal. 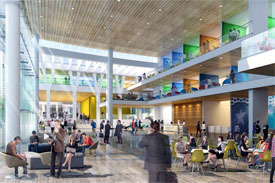 Shared space for life sciences is a has a new host, Mass Innovations Labs, in Kendall Square. The program offers everything from office and bench layouts to EH&S Programs. Mass Innovation Labs said Monday that it was opening an “accelerated commercialization space” for companies trying to bring their drugs and devices to market. 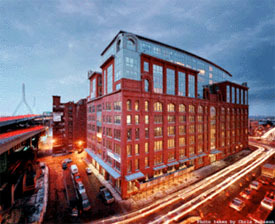 There also are specialized services available in-house, such as help setting up research contracts and an animal testing and scientific support area run by Charles River Laboratories…The three-story space hosts 10 suites containing a mix of lab and office space ranging from 2,900 to 18,000 square feet. It is backed by Breed’s Hill Capital, a Charlestown firm. May is full of 150 startup events to add to your calendar. The Boston Business Journal has highlighted 10. · Growing and scaling a life science business, hosted by Constant Contact, on May 4. · TechHub Demo Night, where startups demo their product in front of a live audience, on May 5. · Startup Institute’s informational meetingon how to land a startup job you’re passionate about, on May 6. · Learning the Artistry of Startups, hosted by Johnson & Johnson Innovation, on May 7. · Growth Hacking for Startups, hosted by General Assembly, on May 7. · New England Venture Capital Association’s NEVY awards, presented by Johnson & Johnson Innovation, on May 13. · Mass Innovation Nights, where emerging startups showcase products at Mercedes-Benz of Burlington, on May 13. · Meet, network with and get advice from female startup founders at the Women 2.0 City Meetup, on May 14. · Boston Young Entrepreneurs host Boston “startup czar” Rory Cuddyer on May 19. · Startup rock climbing series with Ministry of Supply, hosted in partnership with Startup Institute, on May 26. Boston office rents continue to rise, and are expected to climb through 2017. What can you do to hedge your risk against leasing in the top of the market? Understand what you need and engage an advisor. 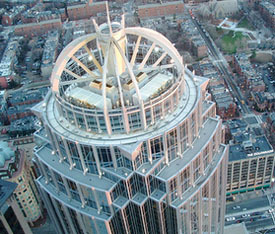 You can read the complete article on the Boston Business Journal, here.